Hard Mass from Inner Armour is a ground-breaking, mass-gaining, body-changing, weight-gaining protein powder. Buy Hard Mass Gainer Protein Powder from Fitness Market and save! With our efficient dispatching and quick delivery throughout Australia, Hard Mass Gainer Protein Powder can be yours sooner. 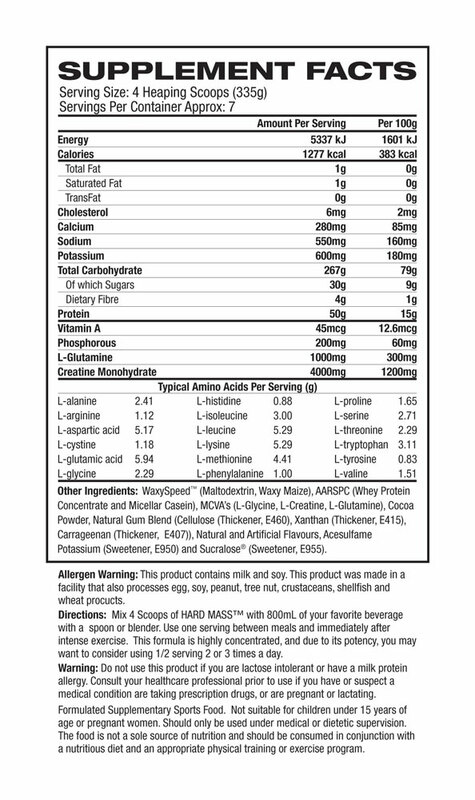 Below you can rate and add reviews for Hard Mass Gainer Protein Powder.